for us to recycle and redistribute worldwide! Motorola for its community service! Miss Kate Hentschel was our guest speaker at our October 21st meeting. Ms. Hentschel is a senior at Hatboro-Horsham High School. After spending several weeks as a patient in Children’s Hospital of Philadelphia last year, Kate realized how little there is to keep youngsters occupied while they are patients in the hospital. She decided to start a fundraiser she calls “Change for Children”. The goal is to bring new books, magazines, DVDs, CDs, video games, and a computer for hospitalized teens to use at CHoP. This is her second year conducting this service. The Horsham Lions so liked this idea and Ms. Hentschel’s determination and drive, that we voted to donate $200 to the young lady. The seeds of lifelong community service are evident in Ms. Hentschel. Her story was featured in the a Philly.com article, and is also recognized by CHoP. Life Line Screening, a former guest of the Horsham Lions Club in 2009, will be conducting a preventative health screening at the Horsham VFW on Thursday, December 2nd. Representatives from Advanced Hearing Systems and Audibel were our guests at the October 7th Lions meeting. Pictured are Nancy Hilger and Pat Gilmartin. Ms. Hilger is a local representative for Audibel and Mr. Gilmartin is a regional representative. Audibel is a premier manufacturer of hearing aids, proudly serving patients for fifty years. Mr. Gilmartin then went on to tell us how successful Audibel hearing aids have been in improving quality of life for those with hearing loss. 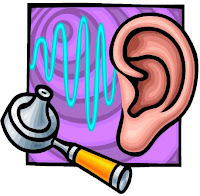 The options and varieties of hearing aids are vast and varied. The functions available simply miraculous, thanks to nanotechnology and modern digital software. He and Ms. Hilger have offered their advice, counseling, and service to those with hearing loss in our region. Ms. Hilger can be reached at 215-672-5041. The Horsham Lions Club recently received a request for aid from a local single mom living in Horsham. Her son needs a hearing aid and their insurance will not cover the total cost. The Lions were willing to contribute, but could not cover the total cost. So we reached out to the other nonprofits in Horsham, via the Nonprofit Roundtable organized by the Greater Horsham Chamber of Commerce. Could other nonprofits help contribute to cover the cost? Response was overwhelming. Not only did other nonprofits offer financial assistance, but private citizens also offered their help. Only three donors were needed to fill the gap. Many thanks go to the Horsham Neighbors Association, neighbor Pete Choate, and a third donor who wishes to remain anonymous. Since requests for aid do come in regularly, and since so many more donors came forward with offers for aid, there are certainly going to be more opportunities to collaborate to help the residents of Horsham! 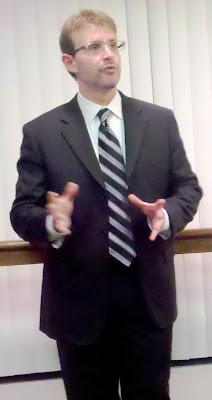 At our September 16th meeting we hosted Dr. Joe Greco, owner of Greco Family Chiropractic. “Dr Joe”, as he is commonly called, came to talk to the Lions about total overall wellness, and how chiropractic can help you achieve it. The concept of wellness shouldn’t be thought of as purely a physical thing. Instead, wellness encompasses our habits, our behaviors, our emotions, our mental well-being, and the nutrients we put into our bodies. Dr. Joe dispelled several commonly-held myths about chiropractic, and gave us an in-depth explanation of what chiropractic is and is not. Instead of focusing on treatment of illnesses, as traditional medicine does, chiropractic aims to help you prevent illnesses in the first place, by changing your attitudes and habits, and by helping your nervous system to heal the rest of your body. Most illnesses are preventable, says Dr. Joe. Why wait until an illness hits to take action? Taking control of your overall wellness now by learning healthy habits and a positive attitude, can reduce the likelihood of serious illness. Dr. Joe agreed to host one of our eyeglass collection boxes! Thanks to Dr. Joe and the rest of his staff!